This tiny house has a contemporary-style with a unique, angular roof that allows for rain catchment. 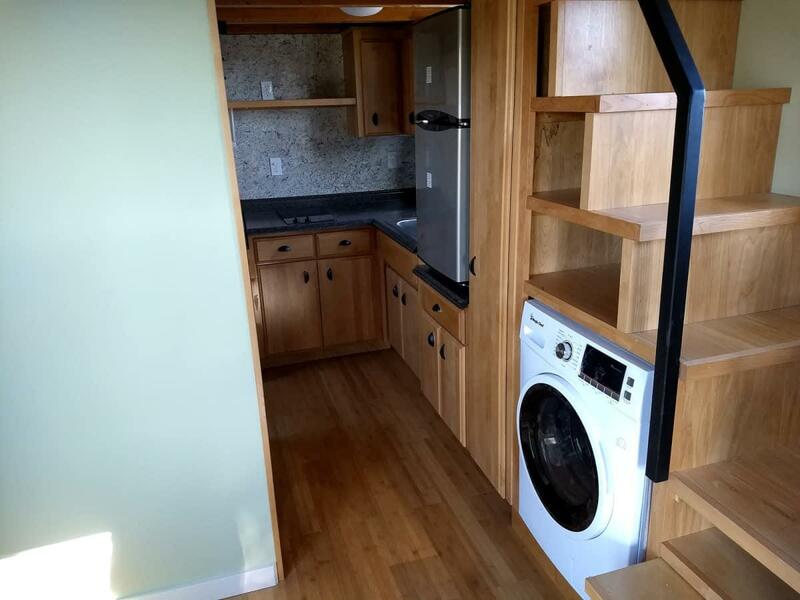 The 220 square foot tiny has a roomy interior with high-end features. Tucked beneath one of the spacious lofts is a compact, yet functional kitchen. RV-size appliances are tucked away neatly underneath the loft and stairs. A washing unit fits snugly into the small space. 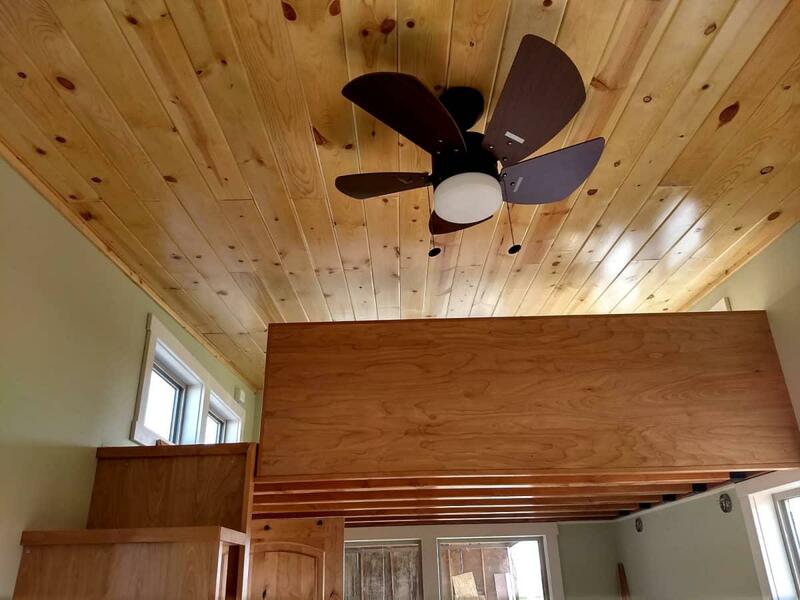 The handmade cabinets are a nice touch. On the opposite end of the tiny house is the living room. Add a sofa-bed combo and you’ll also have the option of a ground floor sleeping space. 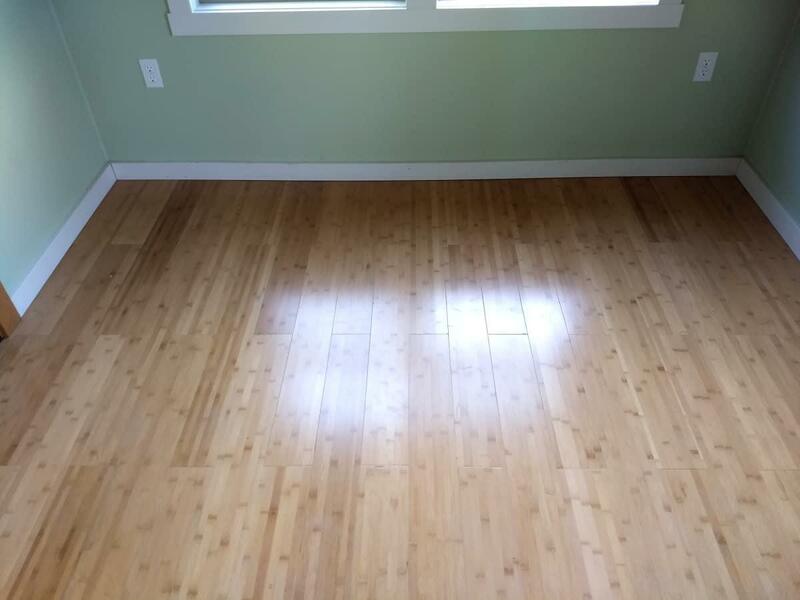 The bamboo flooring is a beautiful addition to the space. 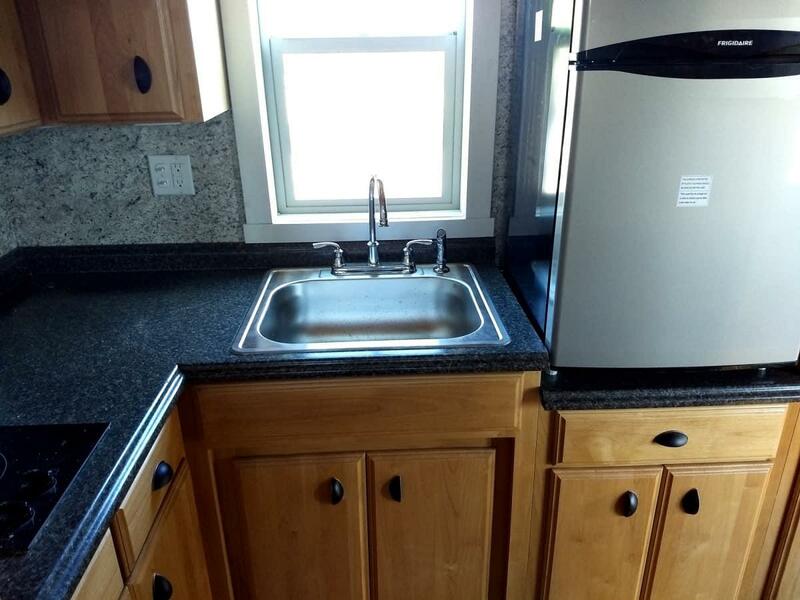 A composting toilet is another green feature that can be added to this tiny house. 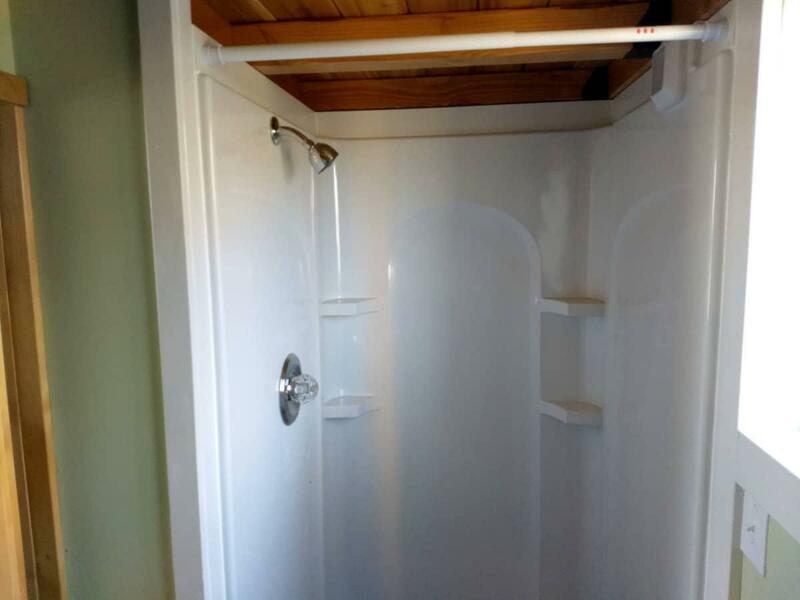 A small shower or tub can fit the space. Luxurious double sleeping lofts that are accessible by stairs mean this tiny can host a multi-person family. The staircase even includes little cubbies for storage. 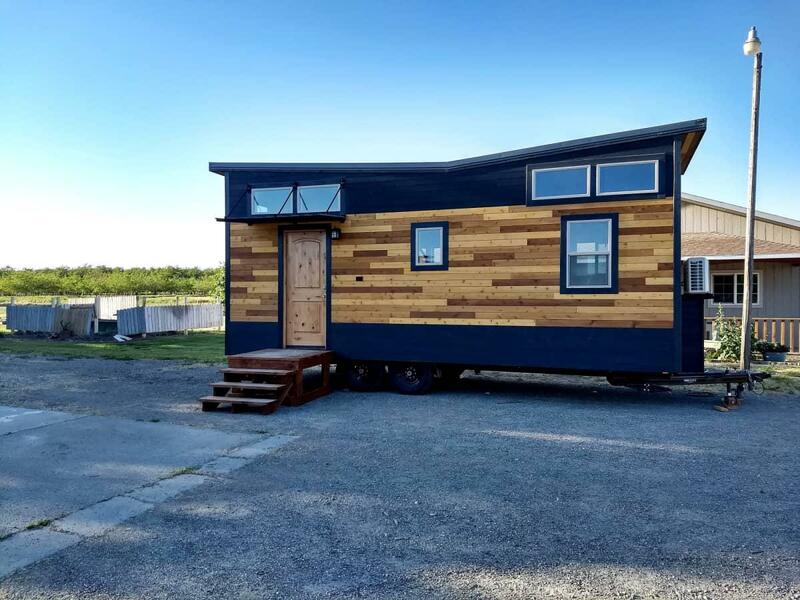 Make this tiny house yours for $65000. Please note; prices may vary over time.